How do you get a blighted town and a group of graffiti artists to work together? 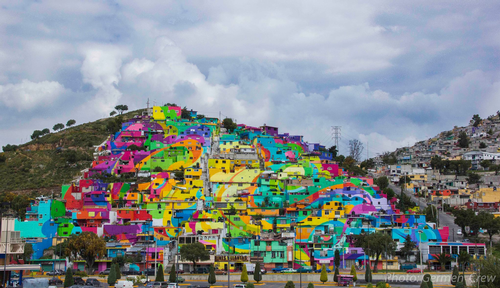 The Mexican government found a way to answer that question recently when it hired Germen Crew to paint 209 houses in a new-age style rainbow. This video by Germen Crew is in Spanish, but it demonstrates the transformation of a Mexican community and transcends language barriers. 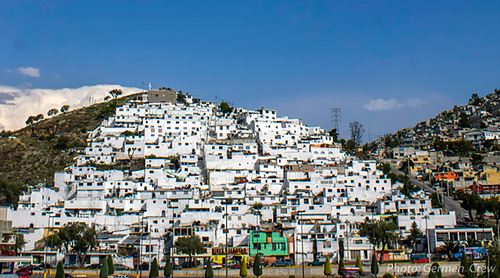 According to Street Art News, the youth group used architectural paint to cover 20,000 square feet of residential homes that line a hillside in the Palmitas neighborhood of Pachuca, Mexico. 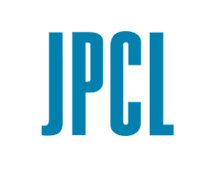 The website reported on July 23 that the effort benefitted 452 families—1,808 people—while rehabilitating the town. Youth street artists who call themselves "Germen Crew" used architectural paint to create a hillside rainbow mural out of more than 209 blighted homes. 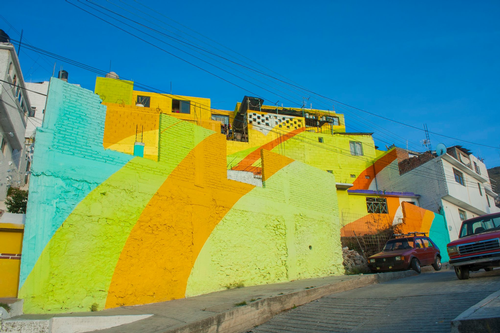 To achieve their goal of a unified “mural,” the street artists first painted all the homes white to give them a base color. They then mapped out the other colors across the hillside to create the illusion of a rainbow. 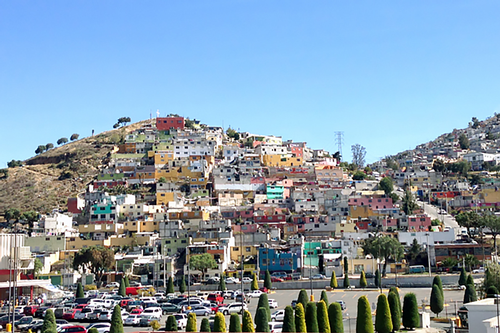 The Mexican government teamed up with the graffiti artists to rehabilitate the Palmitas neighborhood in Pachuca, Mexico, which had become known for youth problems and violence. 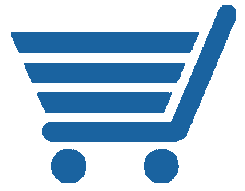 Although the site does not provide the total cost for the project, its writers indicate that the project may have bonuses that extend beyond dollars and cents. Street Art said that youth violence has gone down and jobs have been created as a result of the joint effort between the government and social rebels. Blogger John Paul Brammer reflected in a Wednesday (July 29) post in his Blue Nation Review about how the recreation of a Mexican town made him think about his own community in the United States. To start, Germen Crew painted the 20,000-square-foot area in a base white before adding the colors that make the illusion of a new-age rainbow. 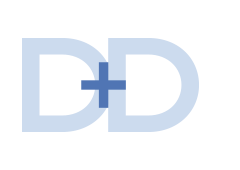 “It may not work in every community, but it’s clear that a reduced appreciation in the arts that borders on outright dismissal isn’t doing anyone any favors,” wrote Brammer. 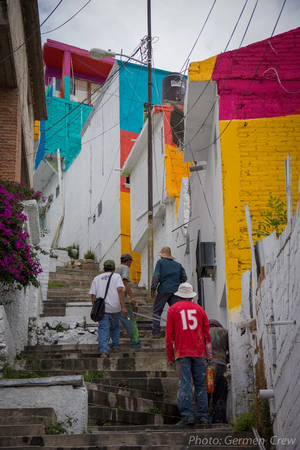 “So while the story of this Mexican village is certainly a feel-good tale, let’s be sure not to miss this important takeaway: Art transformed a community. “Maybe we should give it a try here,” he wrote. Since completing the project, officials report a drop in violence and an increase in jobs. In addition to the photos—which came from Germen Crew’s Facebook page—the group made a video showing the town’s transformation from urban decay to a brightly colored array. The YouTube video is in Spanish and there’s no English translation. But the filmed progression transcends language barriers. A detail shot shows the mult-colored facades of some of the buildings. The project reportedly benefitted 1,808 residents.